Best Olive Oil: Which Oil Is Best For Your Food And Health? Olive oil comes from uncured olives that have been pressed out of olives, creating a green-tinted oil that is used in cooking and culinary products alike. It’s divided into two main grades: extra virgin olive oil and standard olive oil. The highest quality of oil is extra virgin and tends to lack the bitter aftertaste found in many lower-quality olive oils. Counter to common perception, extra virgin olive oil isn’t the first pressing of oil while the standard quality is the second pressing. The quality of oil has to do with the taste and amount of impurities in the oil. To qualify as extra virgin, the oil must have less than one percent of free oleic acid and demonstrate superior quality in all aspects. Olive oil is one of the best cooking oils out there. It has many health benefits, as well as varieties like wine that are unique to the region, the variety of olive, and soil quality. While olive oil is a fat, it is a monounsaturated fat, making it one of the best fats you can eat. It’s liquid at room temperature but will start to solidify if refrigerated. Olive oil is often cited as being anti-inflammatory, which is great for people with chronic illnesses that are often accompanied by inflammation. If you replace unhealthy fats with olive oil, you may find it easier to control your blood sugar. This will reduce your risk for type 2 diabetes, as well as help you manage the condition if you already have it. LDL cholesterol, or low-density lipoprotein, is the worrisome cholesterol. While it’s important to have a balance of the cholesterol levels, high LDL cholesterol is a risk factor for heart attacks and heart disease. Replacing fat in your diet with olive oil can help you lower your LDL cholesterol. Other health benefits include its antioxidant levels and antibacterial properties. Olive oil is also naturally high in antioxidants, which gives it cancer-fighting properties. It’s also naturally antibacterial, which makes it harder to be a vector for disease, as well as helping to fight bacteria that might already be in your food. When looking at all the olive oils on the market, we took a look at a combination of factors. Professional reviews were weighed heavily – particularly those from chefs and food critics. Consumer reviews were also scrutinized – it doesn’t do you any good if it’s praised by critics but isn’t good for home use. Versatility also played a part in the ratings. A good olive oil holds up when heated and isn’t bitter when tasted raw. Also, only unflavored, extra virgin quality oils were considered for this. While you can find high quality standard olive oil, it’s still not as good as extra virgin olive oil. When it comes down to which of these is truly the best olive oil, it’s a personal choice. Whether you prefer the strong notes of a robust oil or the subtler notes of a sweeter one, all of these oils are fantastic choices. You can find both single varietal oils (olive oils made from a single type of olive) and blends on this list. Don’t be fooled by the Kalamata label on Iliada – it doesn’t refer to the type of olive used, but instead, the region in which it was produced. The European Union granted this oil a seal of designated oil protection, guaranteeing that this oil comes from the Kalamata area of Greece. This product is robust with a peppery bite to it. The flavor is strong for raw applications, but still pleasant. In 2010, it won the Great Taste Award by the Guild of Fine Food. Columela’s standard extra virgin olive oil is a blend of four different olives, hand-picked in Spain. Cook’s Illustrated Magazine heralds it as one of the best oils out there. It does tend to be on the more expensive side. However, the quality is worth it. It has a subtle taste to it, making it ideal for cooking aromatic herbs and spices or for eating with salad. Olio Carli is a 100-year-old brand that sells olive oil by itself and makes food and beauty products with it. Their online tools make it easy to find out more about the specific bottle of oil you purchased, as well as more information about olive oil in general. Reviews praised how smooth the taste is and the clean flavor. Olio Carli only sells directly to consumers, so you won’t find it in your grocery store. The other downside is that you can only buy it in cases of 6 bottles – but it does make a great present. Based in California, Séka Hills has consistently put out high-quality oils year after year. They put out a variety of oils each year, though this, in particular, is the 2017 Frantoio oil. Their oils are all single variety olives, allowing the oil to embrace the olive’s unique flavor. The Frantoio is a bright oil with a mild aftertaste, making it a perfect finishing note for most dishes. The downside is that most of their oil is only produced in small batches, and thus have a limited availability in retailers. 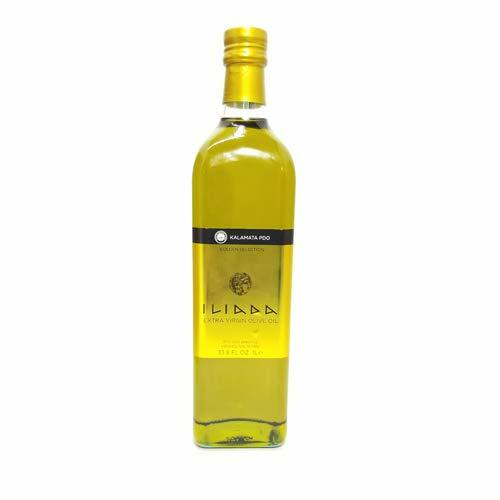 If you want to try Séka Hills’ products, their Arbequina olive oil is of similar quality and more widely available. Katz Chef’s Pick extra virgin olive oil is a fairly robust oil with a strong, pungent flavor. 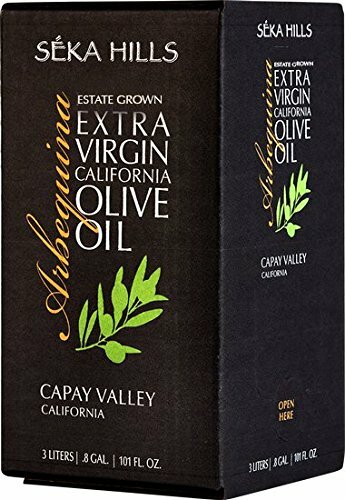 Certified by the California Olive Oil Council, as well as a gold medal winner in their competition, this is one well-loved olive oil. Its robust flavor can be a touch overwhelming, though, making it better suited to cooked applications, or for people who like a very strong oil on their bread. The multiple awards its won from the California Olive Oil Council, Los Angeles International Olive Oil Competition, and Yolo County Fair Olive Oil Competition make it hard to pass up, though. 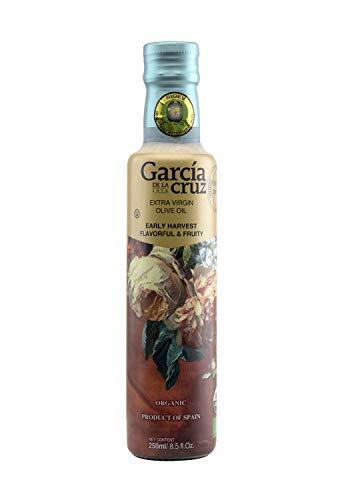 The García de la Cruz family has been producing olive oil since the late 1800s. In the past 150 or so years, they have worked hard to produce some of the best olive oil in the world. Their early harvest oil is a blend of several varieties of olives and usually has a subtly bold note to it. It has won numerous awards throughout the years and continues to be on many professional top pick lists. However, this type of olive oil can be difficult to find outside of Europe, and it doesn’t appear to be sold online. Certified extra virgin by the California Olive Oil Council, the Bondolio extra virgin olive oil is one of the most popular oils to come out of California. It has a light note, to begin with, but has a bold aftertaste that can sneak up on you if you’re not prepared for it. It’s good for both cooked and raw applications. This oil is one of the more expensive varieties on the list, making it less accessible than similar olive oils, but it’s delicious nonetheless. Olive oil is one of the most counterfeited foods on the market. Real olive oil, made from nothing but olives, is expensive and costs a lot to manufacture properly as well as to store and ship. It’s important to know what you’re looking for when purchasing a bottle of olive oil. There are several “tests” that are supposed to help you determine whether or not you have a true bottle of olive oil. However, they tend to be unreliable at best and misleading at worst. The safest way to know if you’re getting a real bottle of olive oil is to buy from a trusted brand. There are a few things to look out for to ensure that you’re getting high-quality olive oil. Olive oil should always be stored in a dark container, whether it’s a dark green glass or an opaque tin. This is to ensure that little to no UV rays reach the olive oil, changing the flavor profile. In 2016, Italy launched an olive oil certification, allowing you to be sure of where the oil came from and that it is 100 percent pure olive oil. There are also oils that have designated origin protection (PDO) and protected geographical indication (PGI) labels. All three of the certifications for olive oil are a testament to the oil’s legitimacy. While they don’t inherently make it one of the best olive oils on the market, a certification guarantees you’re getting real olive oil. If you can find one, look for an olive oil tasting bar in your area. They’ve started popping up in larger cities in recent years, allowing you to taste the options before making a purchase. Consider the oil’s use when buying – if you’re going to be eating it raw, such as part of a dressing, you may not want one with a high bitterness rating. Olive oil tasting bars often have knowledgeable staff who can help you pick out the perfect olive oil for your needs. Store your olive oil in a cool, dry place, away from sunlight. Glass, ceramic, or metal containers are preferred over plastic, so long as its opaque. Once you know what to look for, finding your favorite bottle of olive oil is a snap. Olive oil is a great way to impart flavor into a dish. Using it to sauté garlic and onions brings out the unique flavor in each. While olive oil has a higher smoke point than some oils, turning up the heat too high can destroy the flavor, particularly in oils with a more delicate flavor profile. You can use it at the beginning of a dish, or as a final note after you’ve killed the heat. Olive oil is also great as a vegan alternative to butter on bread, either paired with balsamic vinegar or on its own. You can even sprinkle in a few herbs. If you have time and extra oil, you can always infuse it with something else, such as chili peppers or rosemary, to give it a new flavor profile. If you’re purchasing from an olive oil tasting bar, you may be able to find some flavors premade. Olive oil is a great addition to any kitchen cabinet with its great taste and health benefits alike.